The first step towards plumper, youthful, radiant skin. The formulas in our Replenishing range use powerful naturals that work together to gently quench and help counter dehydrated skin. Tried a sample of the replenishing moisturiser in a local shop, and was immediately impressed by the texture and smell of the cream. I knew then that this was going to be my new moisturiser! The value of this collection is amazing. 3 full size products and a facial oil that will last for ages. What is there not to love? I’ve always been good about cleansing/toning and moisturising my skin twice a day, but I now look forward to doing it. 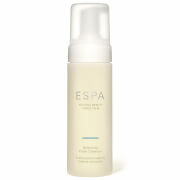 The cleansing milk removes every trace of makeup and the hydrating spritzer is very refreshing and smells great. 1-2 drops of facial oil is all that’s needed with the moisturiser to make my skin super soft and supple all day. As you can probably tell, I love this collection! Have already recommended to friends. I was delighted to receive the Replenishing collection. I have been using the cleanser and moisturizer for a few years ...... I love the skin benefits and also the amazing aromas. Having now tried the replenishing facial oil I am a convert. I was however disappointed that I didn't receive the complimentary samples with my order as I was looking forward to trying a few new espa products. Bought this as am now in my 70’s and my skin wants a bit of extra help. The smell of the products transports me and my skin is thriving, thank you.